Many clinics now offer non-surgical ‘liquid facelifts’ with the promise of immediate results. Reducing wrinkles and restoring volume without the downtime associated with traditional plastic surgery may sound appealing, but are these new techniques really that effective? “In general, women start thinking about facelifts in their late forties to early fifties,” says plastic surgeon Dr. Michael Frederick from Palm Beach Gardens, FL. These types of misconceptions are exactly what we’re here to address. With the help of our four experts, you’ll learn about the pros and cons of a liquid facelift compared to a full facelift procedure. “A liquid facelift or filler facelift is a combination of well placed dermal fillers (such as hyaluronic acid – Juvederm, Restylane, or fat transfer) and Botox, resulting in a facelift effect without the need for anesthesia or surgery,” says Miami, FL based cosmetic dermatologist Dr. Christopher O’Connell. What does a full facelift involve? Drs. Frederick, Azzi, Connell and Mani. Dr. Azzi further explains that when it comes to a facelift plastic surgery procedure, potential patients can be easily confused. “There are many different procedures performed by many different doctors of different specialties, yet almost all use the term ‘facelift.’ Even though a ‘skin-lift’ (that lasts for 1 year) and a ‘deep-plane submuscular lift’ (that lasts for over 10 years) are both called ‘facelifts,’ the similarities stop there,” he says. Dr. Mani and Azzi, both specialists in the field of facial plastic surgery, are strong proponents for a deep tissue full facelift because the results are more elegant, natural and long lasting. Who can benefit the most from a liquid facelift? A liquid facelift is best suited for men and women in their 30’s and 40’s, and for candidates in their 50’s with mild signs of skin aging. It is only effective where moderate amounts of injectable fillers can add some volume to the face (on mild jowls, for instance). However, no amount of filler can reverse the effects of gravity. Over time, the jowls and nasolabial folds can become too pronounced to be concealed through such techniques. “As a general rule, if the patient’s problem is mostly gravity, then a liquid lift is not the best solution, since this only addresses volume,” adds Dr. Azzi. How does recovery compare between the two procedures? “This really depends on the person, what area is filled, and what filler is used,” informs Dr. Azzi. “Something heavy duty placed in the mid face or cheek bones like Radiesse can last 9 to 24 months. Some products like Sculptra claim to last for several years.” In general however, most experts agree that some ‘touch ups’ are required every six months to achieve the best results. Are there side effects or complications with the liquid facelift? Patients can expect minimal complications — mild swelling and bruising are the most common side effects. Because dermal fillers are synthetic, for some patients they may cause allergies. Are there circumstances where you would advise against a liquid facelift? How do Hollywood celebrities look so refreshed and youthful? 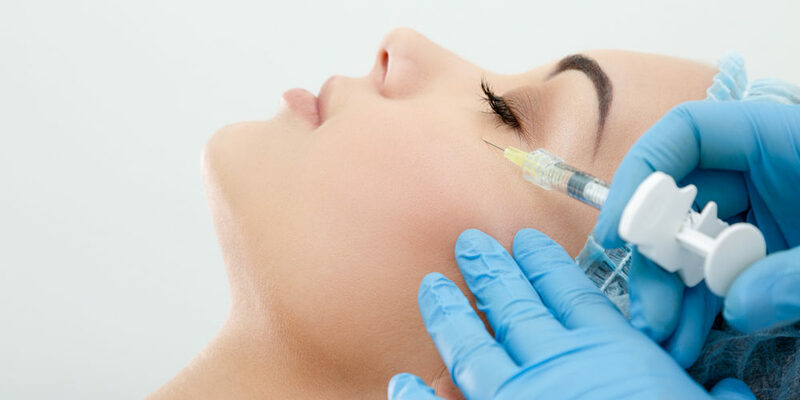 Even though it’s commonly assumed that Hollywood’s celebrities get their refreshed glow from having liquid injections, according to Dr. Mani, this is not the case.